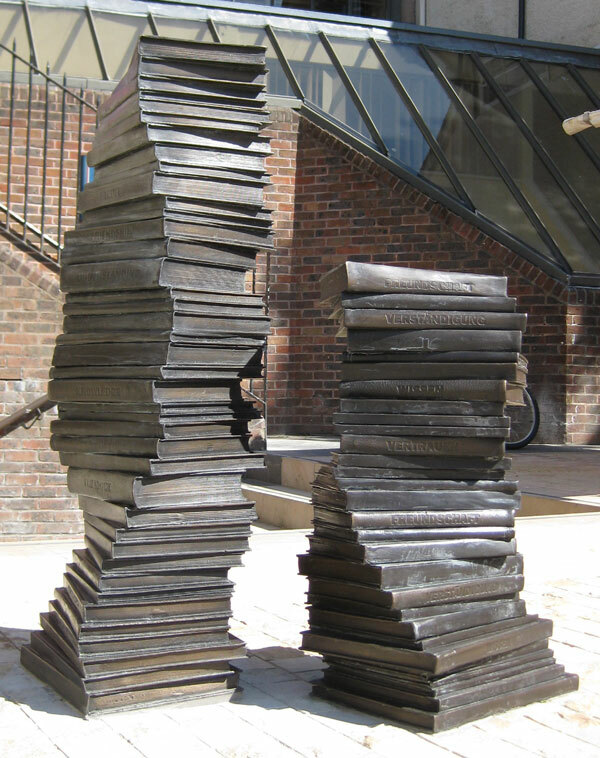 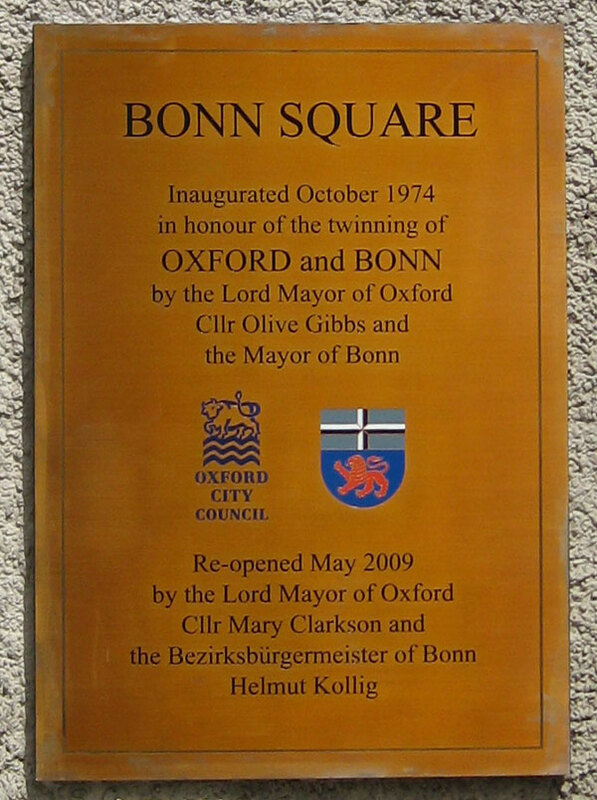 This bronze plaque is fixed to the side of 1 New Inn Hall Street and was unveiled on 22 May 2009. 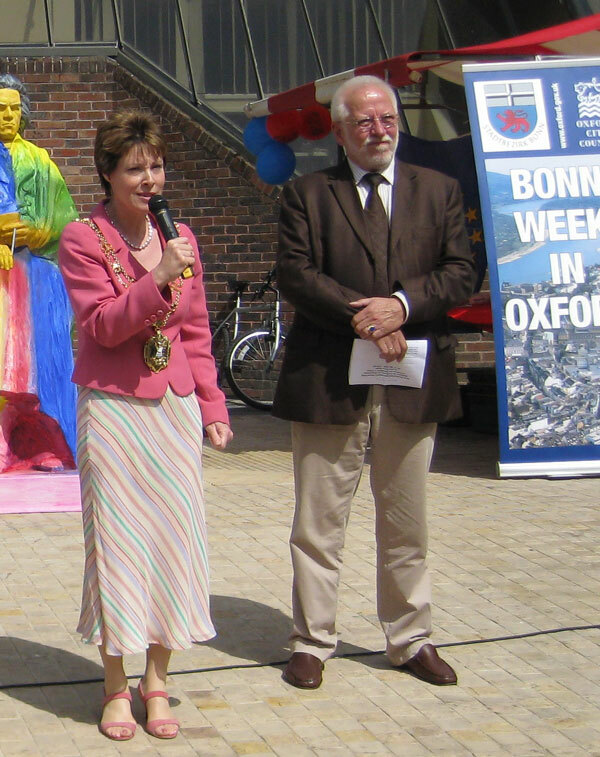 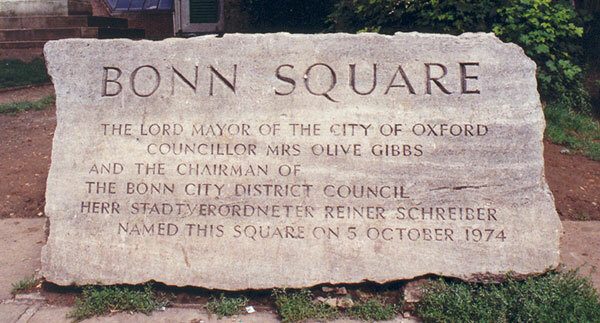 It replaced the stone below, which stood in Bonn Square from 1974 to 2008, but was moved to Cutteslowe Park when Bonn Square was opened up and paved over. 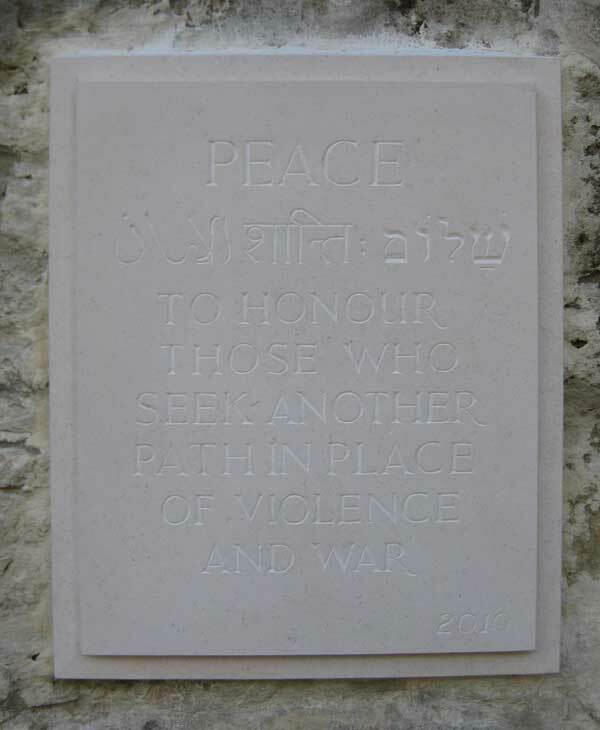 The Peace Plaque below, on the wall of New Road Baptist Church, was unveiled by Bruce Kent on UN Peace Day, 21 September 2010.